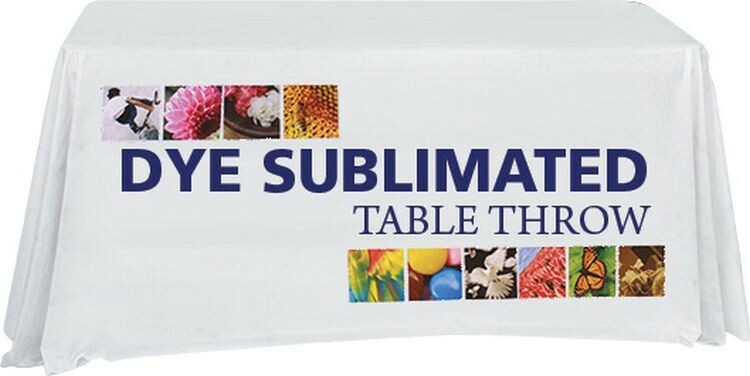 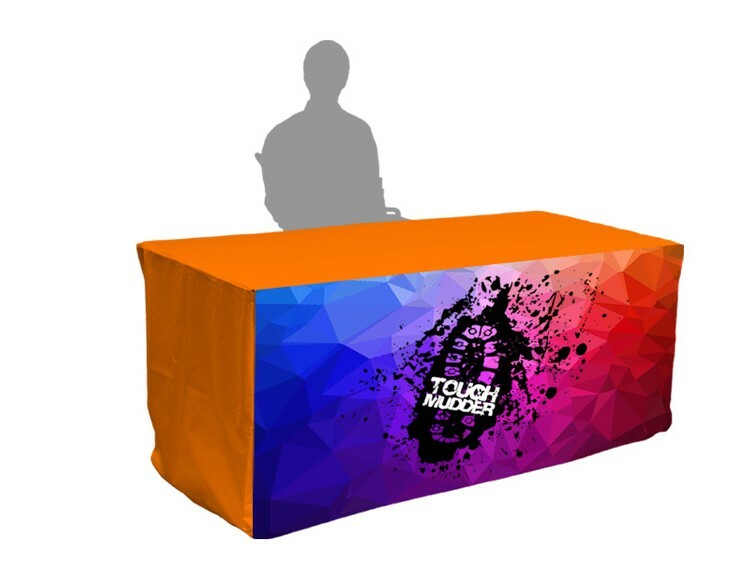 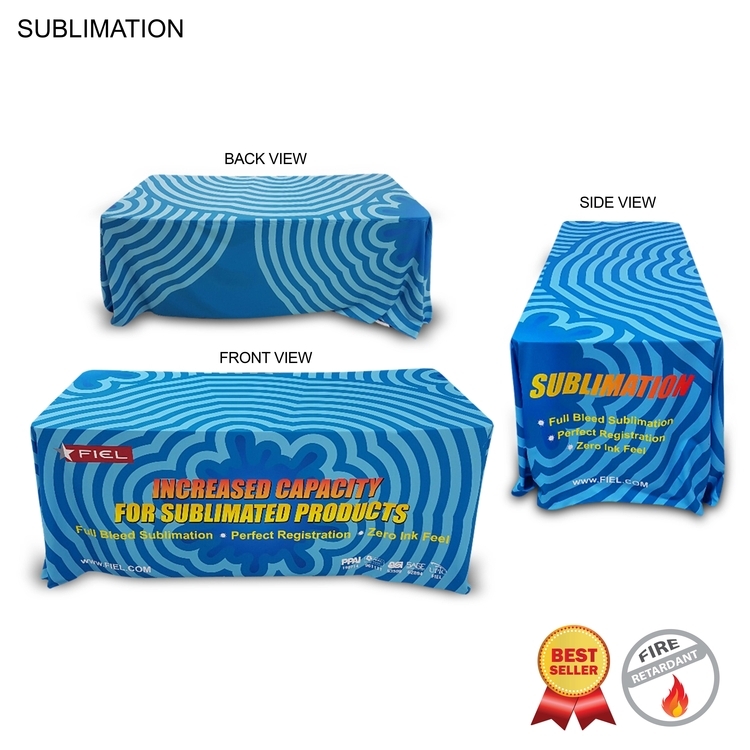 Custom digitally printed dye-sub throws / table cloth, Econo Tablecloths cover top, front and about 6" on the back, no sides in 4' table throw, 6' table throw and 8' table throw. 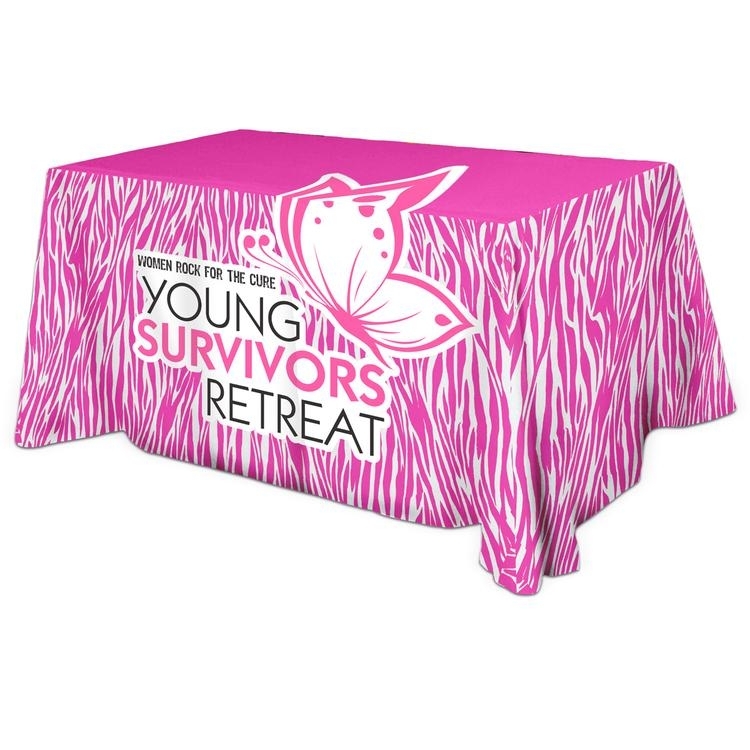 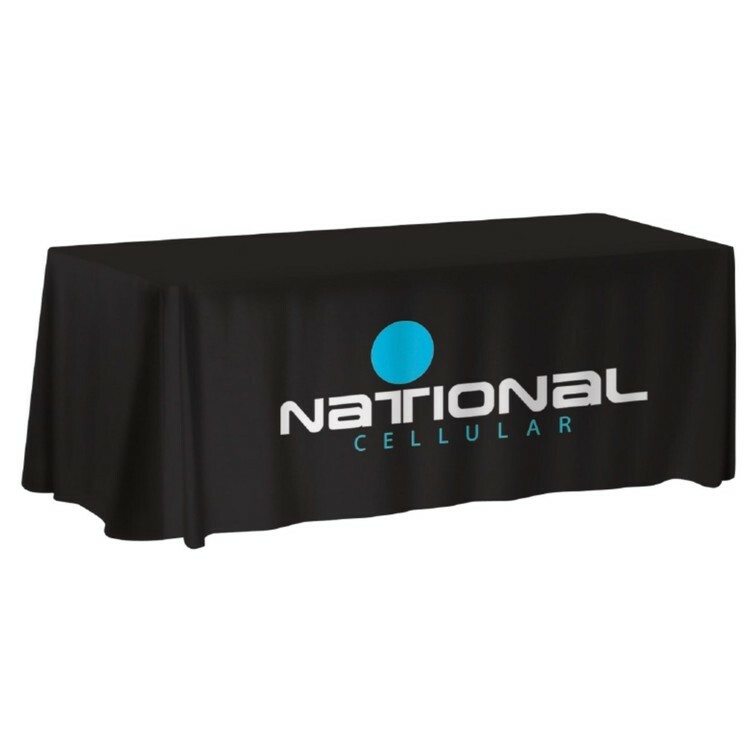 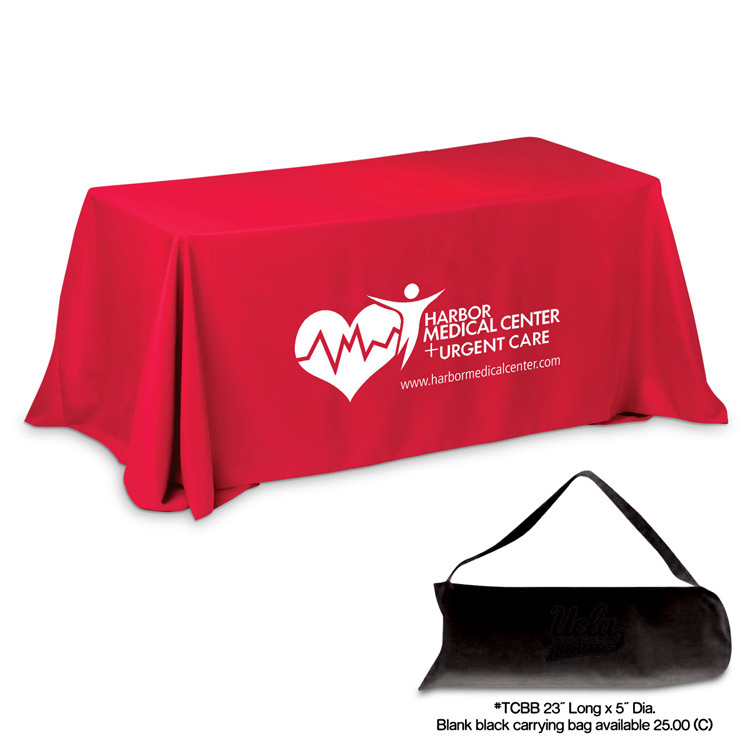 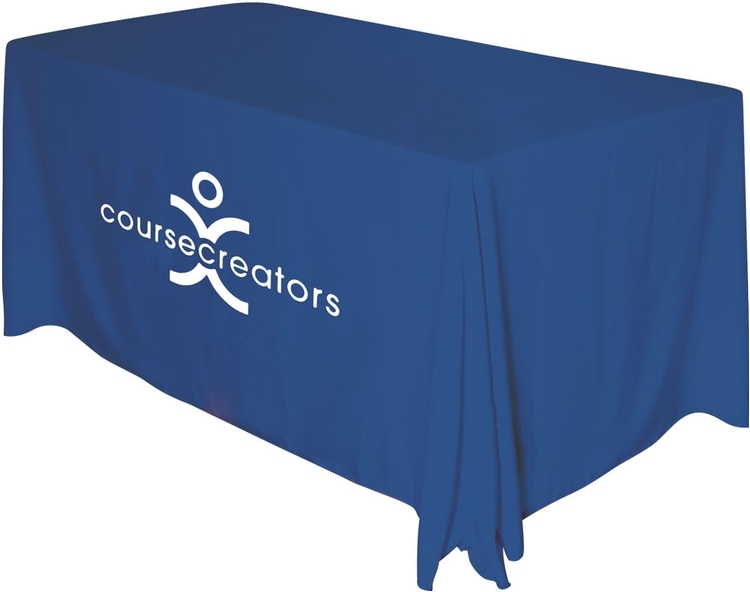 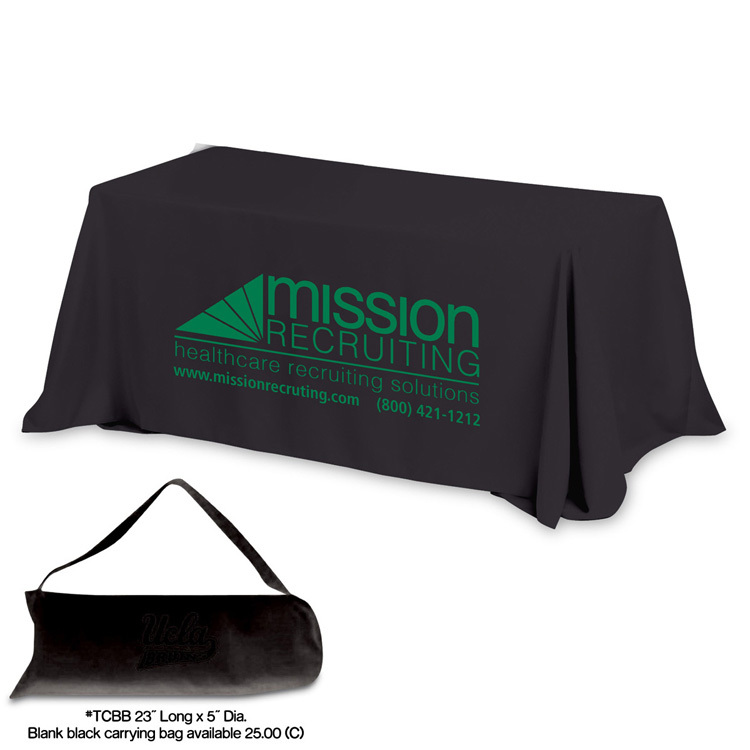 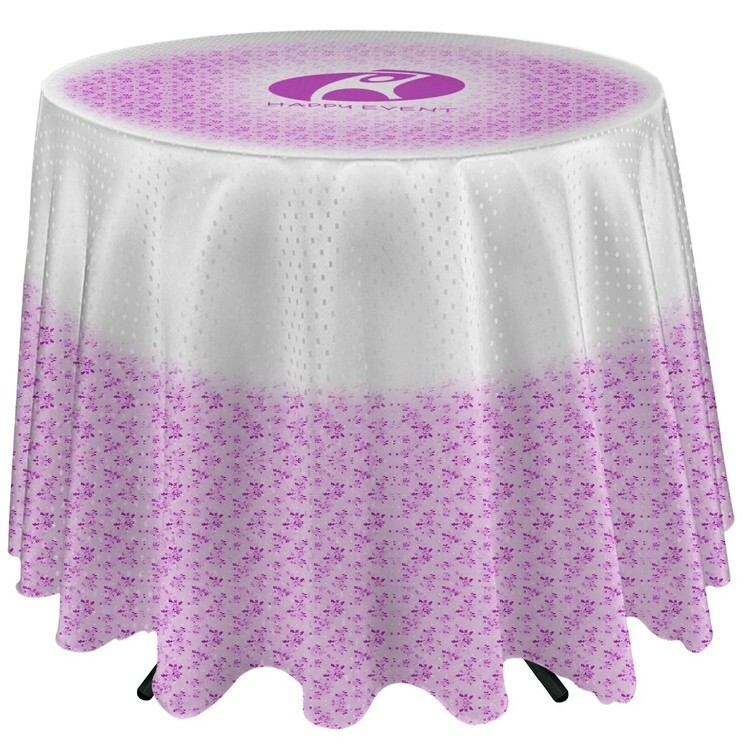 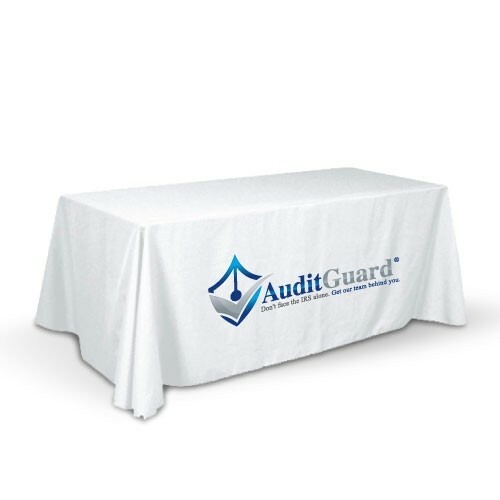 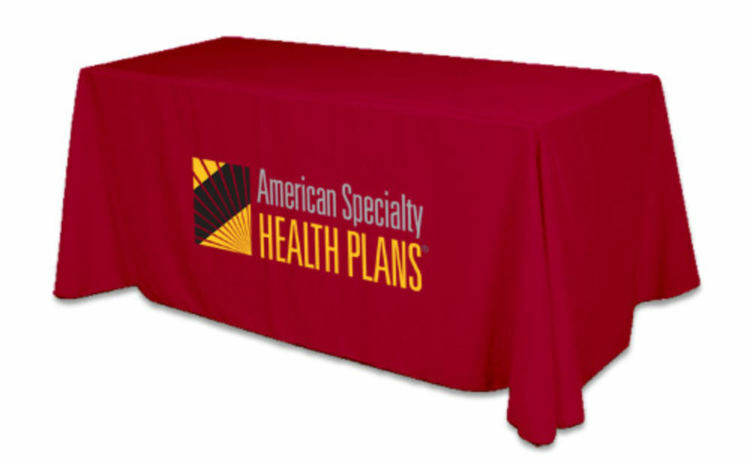 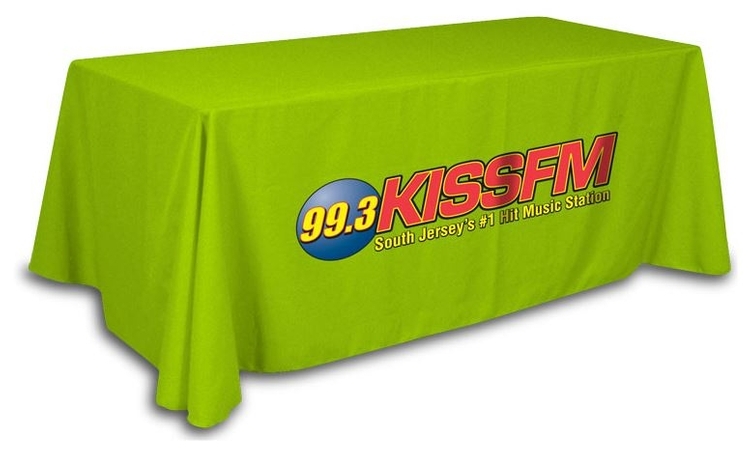 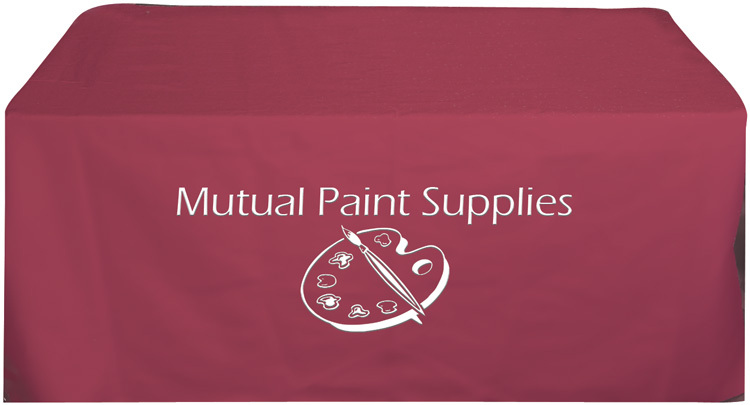 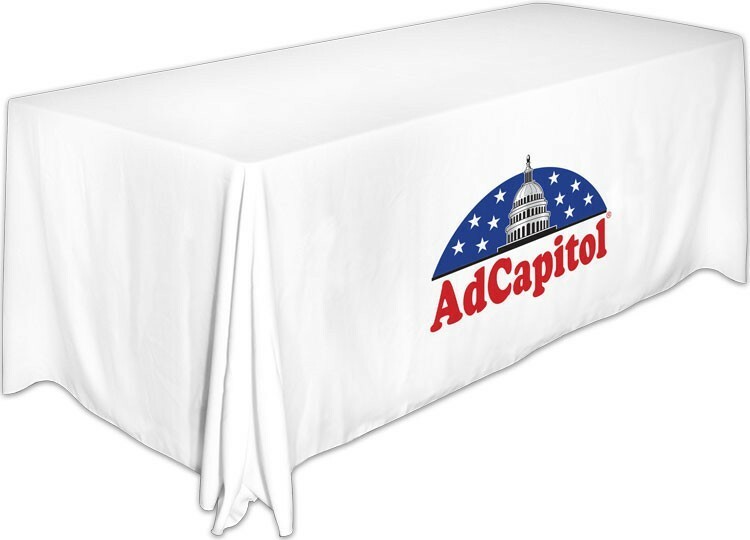 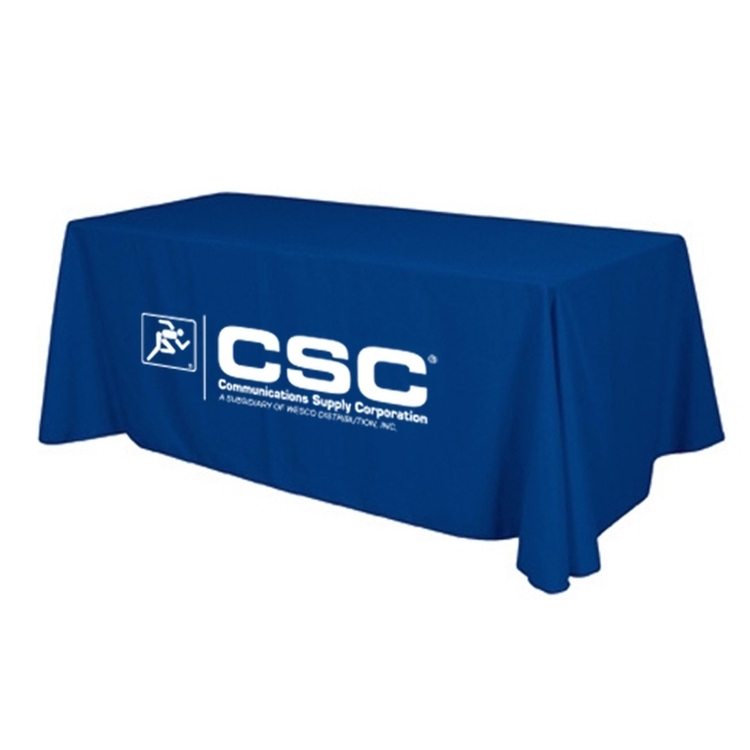 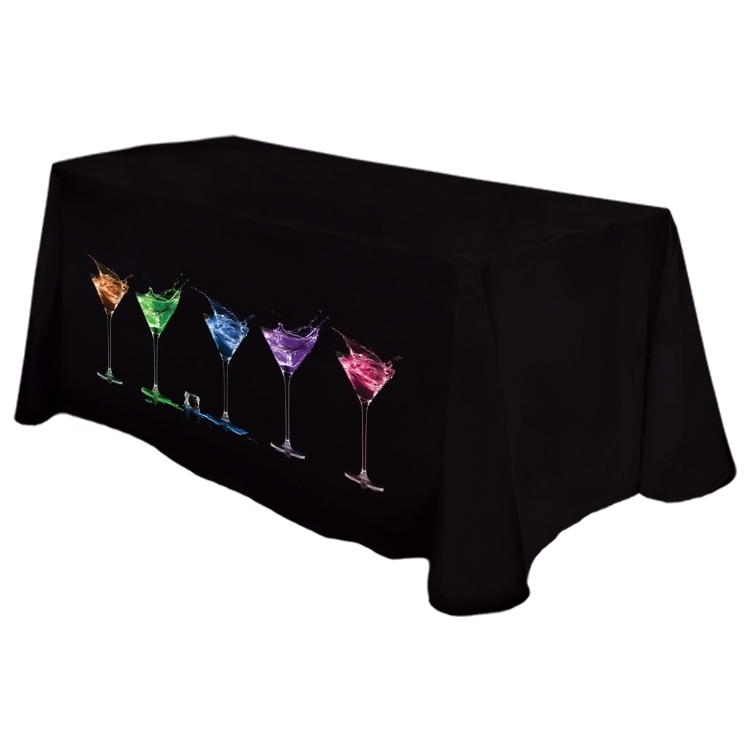 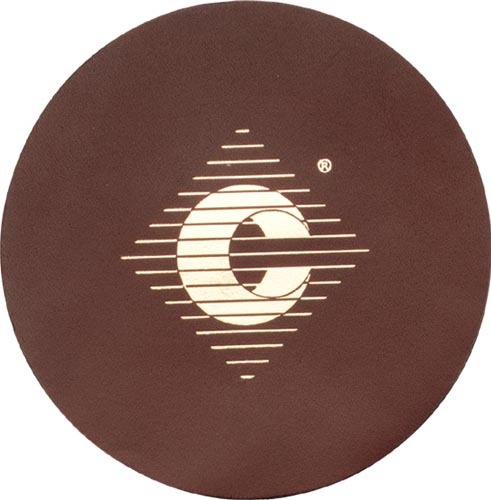 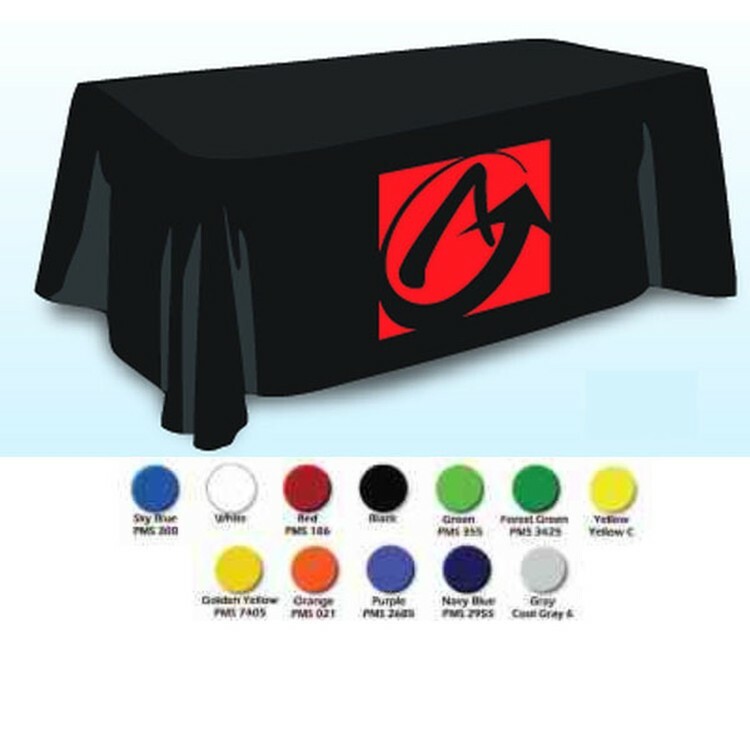 Tablecloths are dye sub, fully washable premium 5.4 oz polyester. 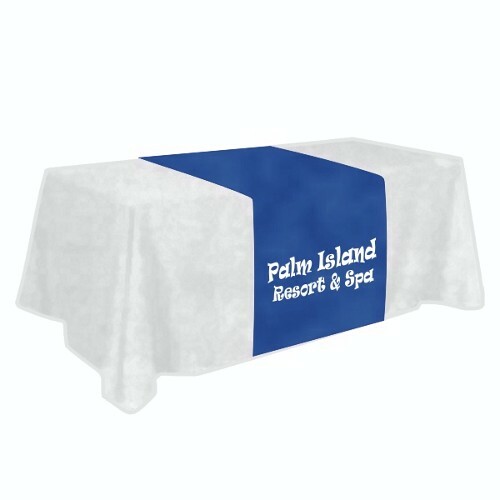 Material starts off white & we print to any color needed. 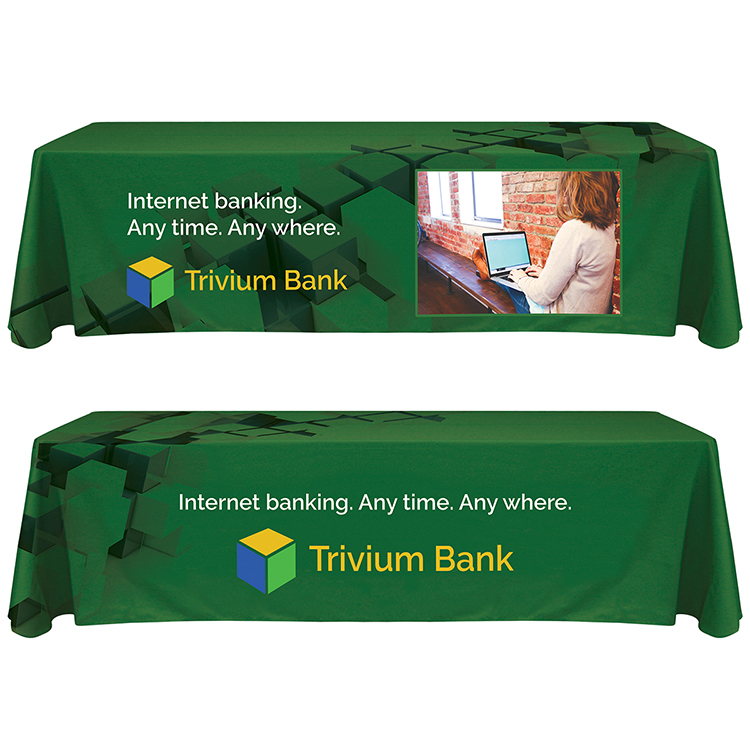 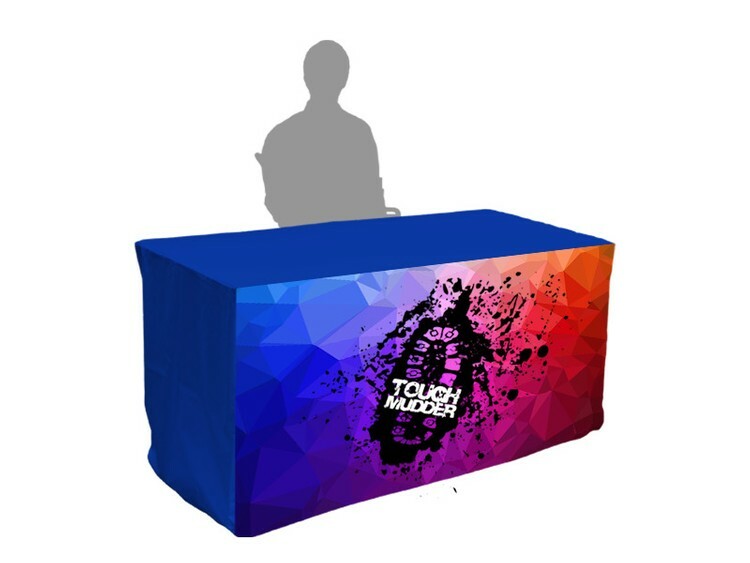 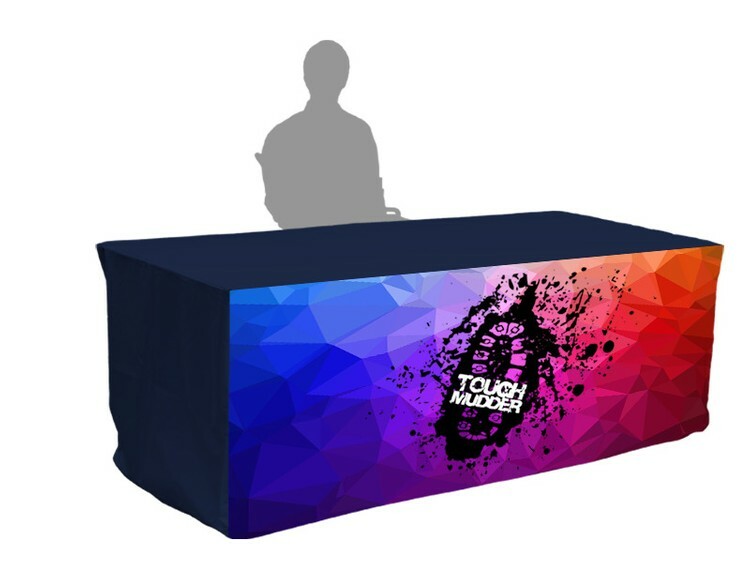 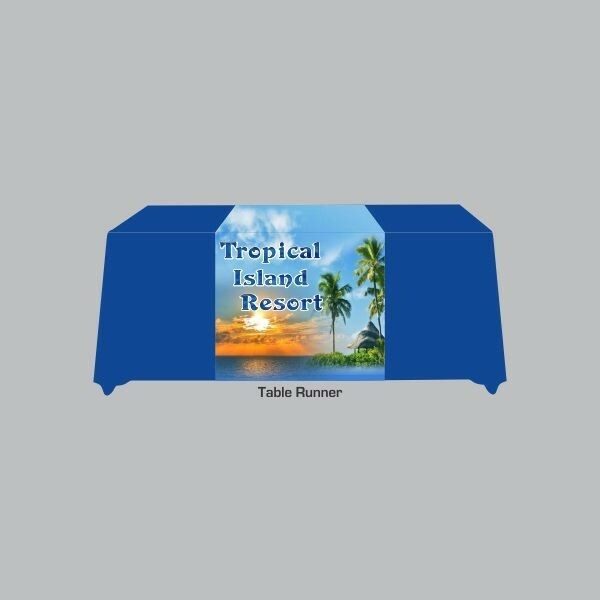 Perfect for trade shows, exhibits, displays and conventions.